SupaDupa Ecommerce Blog - 15 Simple Content Marketing Tips You Can Action in 24 Hours! 15 Simple Content Marketing Tips You Can Action in 24 Hours! If you’re looking for a way to boost traffic to your online store, you’ve likely come across the concept of “content marketing.” Simply put, content marketing is a strategy to convert shop visitors into new buyers -- and new buyers into repeat buyers -- by giving them valuable, free content that adds to their lives. The more content you offer your potential customers, the more exposure your brand gets. In other words, creating and sharing killer content gives you more opportunities for people to have an positive interaction with your brand. When you give good advice or create something that people want to click, you boost your authority in your industry and take your place in customers’ minds as a brand that they want to hear from. 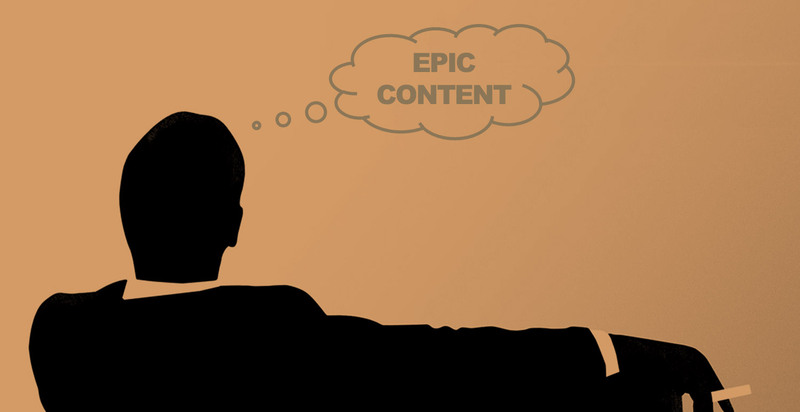 That’s how content marketing works. Let’s look at 15 simple content marketing tips that you can action TODAY to start connecting with your audience and converting shoppers into buyers. Your mission statement can be published in your ‘About Us’ section or just written down for you to refer back to. What does your brand do, and who is its audience? Working mothers who want to save time? Creative professionals? Beer-guzzling fraternity lads? Figure out who you’re talking to and include them in your mission statement -- then sum up what your brand brings into their lives in one or two short sentences. That’s what makes the mission statement such a useful activity from a content marketing point of view: it gives you a chance to zero in on your audience, then let them know that you’re catering specifically to them. Your mission statement is your guideline for all of the content you produce and share: who is your audience, what will you give them, and what will the outcome of this be? Our blog, for example, speaks to creative entrepreneurs that are trying to sell more through their online shops. We give inspiration on how to boost online sales through actionable tips, with the result being that our customers are better prepared to run profitable online boutiques. Find out who you’re talking to, what you can add to their lives, and how you want your content to affect them. Then, make sure all of your content marketing efforts are in line with the mission. 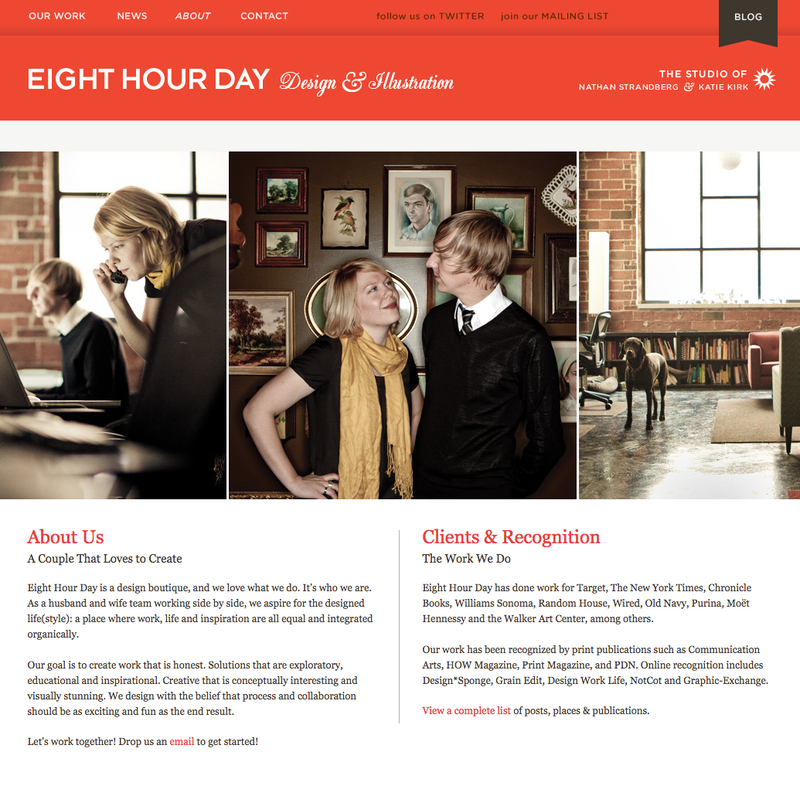 Example by Eight Hour Day do a superb job of showcasing the people behind the company to make the brand seem human. Notice both the founders name and photos have been included. The 'About Us' page drives home the point that Nathan and Katie are a "couple that loves to create." Focusing on growing your subscribers does two things for your brand: it keeps people coming back to your brand, and gives you data about your audience so that you can continue tailoring the right content for the right people. How do you get subscribers? Your brand’s blog should look beautiful; offer useful, funny or shareable content; and it should have clear calls to action to get people to subscribe to your blog. Think of an in-page pop-up with the phase “Wasn’t that worth your time?” or other cheeky messages you’ve seen in the last few days. You don’t plug your information into every form, but you do when the page is something that you want to see again. These are the people you should be catering to with your content marketing, rather than the many people who might have arrived at your blog through a “wrong turn” and never come back. We’ve all read something on a website and never gone back -- that’s why it’s important to focus on the specific metric of subscribers, rather than on the broad metric of overall traffic. Once you have enough subscribers, you can run tests to see what differentiates them from other visitors to your site. They may more likely to have strong political leanings, or young children, or purchase a product with a discount no matter the size. Your content marketing strategy will only get sharper once you sharpen your image of your ideal customer. 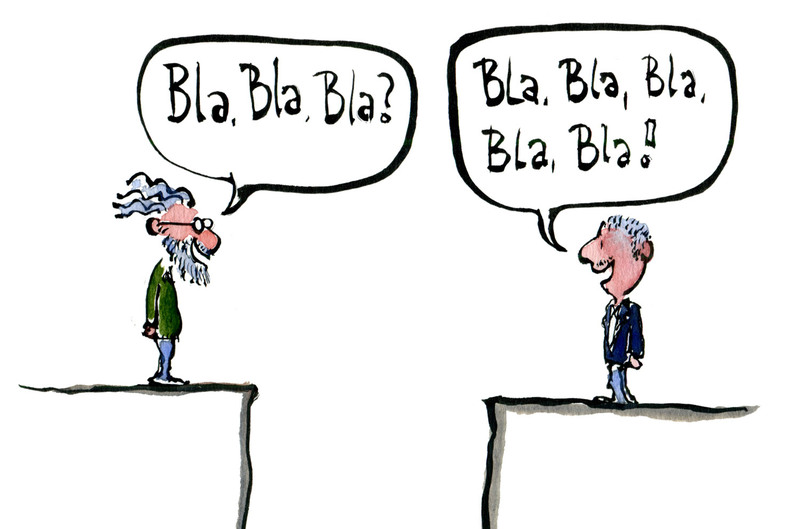 Are you and your customers speaking the same language? That is, what language do they use when they’re searching Google for your topics? Are you using the same terminology? Does your tone and personality mimic theirs, or speak to them in a way that they respond to? Who else are they listening to, who do they trust? Great content begins and ends with how intimately you are able to connect with your audience. Now that you know your audience, how do you know what to post? This is an article about how to use content marketing to drive sales, but when you’re creating content you have to have an entirely different attitude: content marketing isn't’t a means to an end. Getting content out there that users identify with, engage with, and genuinely want is the end in itself. You want to build relationships and an enduring audience who will not just buy your product, but buy into your brand and always return. You worked hard on your content, so you want it to be received correctly. You might have heard that videos, gifs and images are the best way to attract attention -- and that’s correct, to a certain extent. Your social media posts probably earn much higher views and interactions when they’re accompanied by a visual element. However, remember the hierarchy of what grabs our attention: motion, then visuals, then text. Flashy visuals can take attention away from more subtle text, so if you’ve created an information-rich piece of content you don’t want to drown yourself out. Keep visuals to a minimum with a well-designed banner at the top, either with the title of your work or a relevant image. Then let your text shine. The opposite it also true, of course! When you have light content -- a short, funny list, for example -- feel free to boost the entertainment factor with funny reaction gifs. What kind of content should I put on my blog? One of the easiest kinds of content to create that works for every industry is: write articles that answer people’s questions. Do your customers like to do it themselves, and wonder how they can source materials like yours? Or why some things cost so much, while others cost so little? What’s the difference between X and Y in your industry? You’re an entrepreneur in this industry, which makes you an expert -- at least on the bits that you know. Sharing your knowledge, clearing up misconceptions, and answering any questions that people have is a great way to associate your brand with usefulness and authoritativeness, as well as getting your brand higher in google search rankings for the industry queries that you address. It’s easy to think that your social media accounts and blog should be only about self-promotion, but publishing a list of the top 25 influencers in your industry is a great way to start the process of creating useful content for your audience. Who doesn’t love a list? Pick the top social media accounts and blogs that you think people who are interested in your product would also want to hear from. Compile a list by writing a short blurb about what they’re included and worth your audience’s time, then send it to the people who you’ve mentioned. It’s an easy way to create content that your audience will appreciate, while at the same time hugely expanding the number of people who will see your post. If you execute your article correctly, at least a few of the influencers you mentioned will share or retweet your post, broadcasting the link to your brand’s blog to thousands more people. Just like the tip above, this involves boosting traffic and your search engine rankings by getting links to your website in front of larger audiences and on reputable websites. Google’s search engine crawlers will notice if you have 10 new links to your website on relevant blogs, and bump up your rankings accordingly. Meanwhile, you’ll be able to offer links back to do the same for others. Everyone wins, and everyone’s content has a larger chance of being seen by the right people. An ebook doesn’t have to be 1,000 pages long! Even 30 or 50 pages is enough if it’s free and packed with content. Writing a book sounds like a daunting task, but it won’t be on a subject that you have to learn new things about -- write what you know! You’ll have more time to get your personality into your writing and more time to show off your expertise. What knowledge do you have that can improve your customers’ lives? Did you successfully quit your job and start your own business? How did you do it? Are you great at getting into high-profile events? Did you overcome something -- joblessness, an illness, a death in the family -- that has given you insight into how you run your brand or how you live your life? Give expert information or tell a story. Better yet, do both! Of course you should be writing about any events that you help organise, but always do a write-up after any industry event that you attend, tag it with the relevant hashtags, and post the link to your blog on social media. Take photos while you’re there to illustrate examples of what you’ve learned. Better yet, synthesise your thoughts on the event into easy to understand lists. Writing an article called “5 Things I Learned at Event X” or “5 Ways to Make Your Table Shine at a Craft Event,” with each tip backed up by your experience at the event, is a great way to teach your customers something while also reaching out to the industry professionals from the event. This is one piece of original content that’s easy to create and won’t take too much time to write. It’s a no-brainer: you’re having a sale, so advertise it on your blog! Since these posts are usually not very content heavy, consider designing a great graphic that will grab people’s attention. People are used to seeing SALE signs in the windows of shops, so visuals will really help get your message across. Discuss what products are on sale and, if it’s a sale around a specific holiday, why these products are right for the occasion. This is another piece of content that most consumers find valuable. A giveaway can have one of your products as a prize -- and it’s often best to start with this -- but you should also think about prizes that are complementary to your brand. If you sell music inspired t-shirts, think of something like festival music passes. A ‘mom’- centred brand might do a spa day giveaway, or a champagne and chocolate tasting. You can have people enter by sending in a photo of themselves with your product, or simply leaving a comment at the end of your blog post. Third-party applications like Gleam help you run giveaways and make it as painless as possible to deliver this kind of content to your customers. 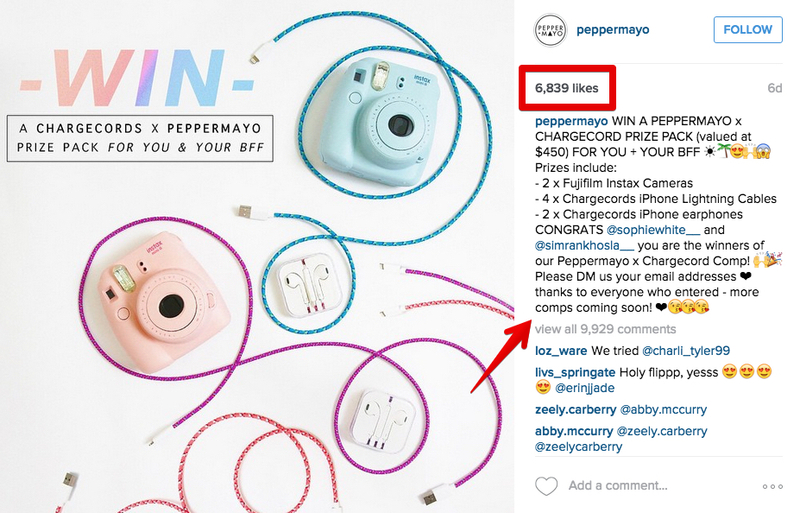 Online fashion store PepperMayo, have done a great job in getting their shoppers excited by hosting a giveaway via Instagram. Notice the the number of likes and not to mention the comments below! Writing up a profile about the people who make your brand run is both an easy piece of content to produce and a way to legitimise your new online boutique. Write up short bios for each member of the team and include quirky pictures of behind-the-scenes fun. Or, consider doing a 10 minute interview with each member of the team. Just have a chat and write up their responses -- their thoughts on your brand, what your products deliver to customers, and on life in general. This builds more links, or entryways, into your online boutique while also letting customers know who they’re dealing with and humanising your brand. Perhaps you sell hats and you think making a tutorial for your products would be ridiculous. Step 1: put it on your head. Well, you’re right -- that is silly. But that’s not what we mean. How can your hats dress an outfit up or down? How do the individual pieces in a collection tie together? Do they have a hidden use that isn’t immediately apparent? Does the fabric travel well, allowing you to toss it into a handbag or carry-on luggage? When potential customers see that they can get more uses out of your product than they thought, it’s easier for them to justify a purchase. Repeat customers, on the other hand, will be delighted to find new ways to use what they already have. Content marketing isn’t just about blogging. While you do need information-rich, text-heavy posts on your blog, you should break up your content with videos. “Show, don’t tell” is a mantra for writers everywhere and it’s certainly true for internet marketing. Your products come to life through product tutorial videos and videos showing your products in use. Customers want to see how your products look outside, how they move, how they fit on a real person. Still, this isn’t just about product tutorial videos. Try making 6-second Vine videos, featuring a product unboxing or highlighting all of the colours your product comes in. Try making videos where you just ‘vlog’ a day in the life of your brand so that your content gives a window into who you really are. The ‘realness’ of YouTube stars are exactly what draws young people to them, and makes them trustworthy. Capitalise on this with your videos. If you’re in the fashion industry, try fashion-focused videos about how your products work with new trends, your thoughts on the latest celebrity trends, or even how to stay away from trends altogether. Make sure your videos are in line with your mission statement and are talking directly to the loyal audience that you are building, and there’s no limit to what you can do! Example by SupaDupa store J.Won, using a fashion focused video to showcase her luxury knit wear.